This catalogue was published on the occasion of the exhibition in Palm Springs bearing the same name. 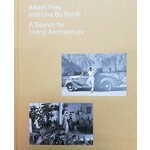 The book proposes a dialogue between two key 20th-century architects, Albert Frey and Lina Bo Bardi. Frey moved from Switzerland to the US in the early 1930s and Bo Bardi emigrated from Italy to Brazil after the end of World War II. While they never met, their intellectual odysseys overlapped. 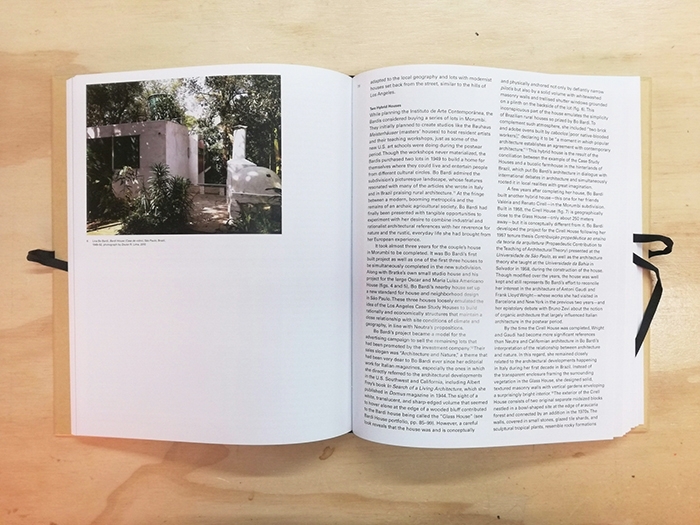 Both fostered the integration among architecture, landscape, and people, helping transform the architectural culture in their adoptive countries. 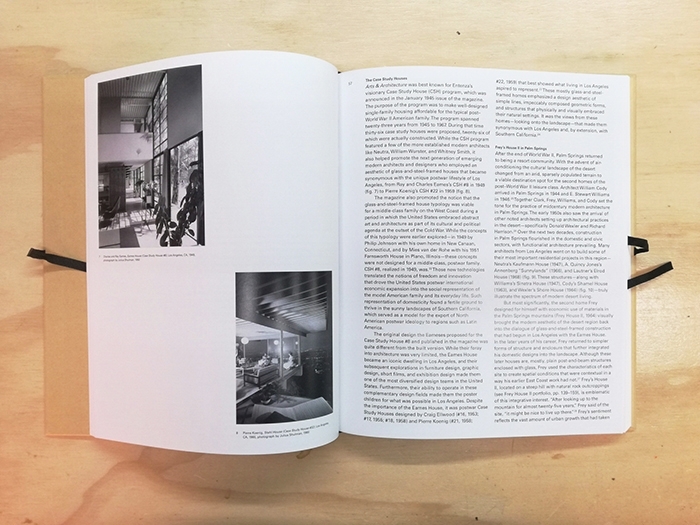 Their design affinities converged in the notion of a living architecture, evident in their publications and the projects featured here. Frey, a pioneer of “desert modernism” in southern California, embraced the landscape and experimented with materials to create elegantly detailed structures. 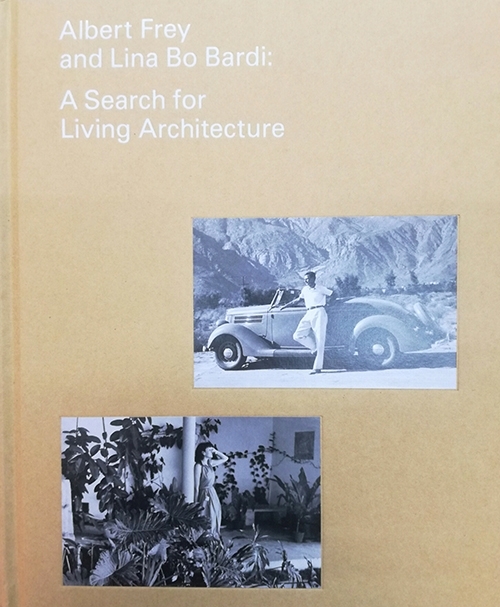 Bo Bardi produced idiosyncratic works that strove to merge modern and traditional vocabularies in an architecture conceived as a stage for everyday life. 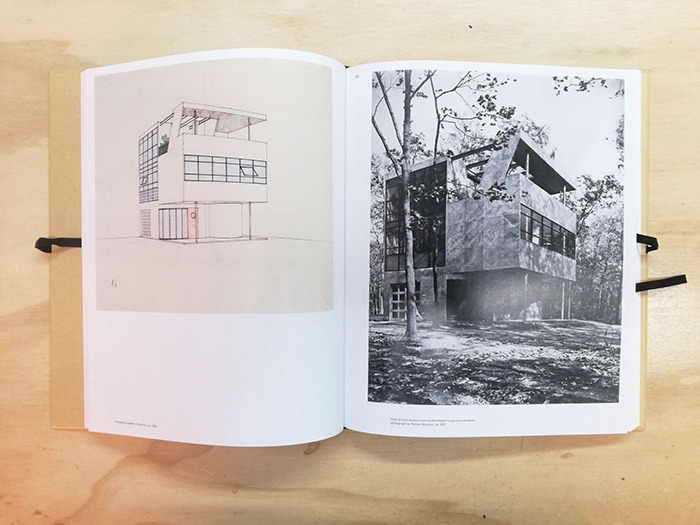 Placing these architects side by side, the authors explore modern architecture through crosscultural exchanges and unveil meaningful, though little-known, architectural dialogues across cultures and continents.